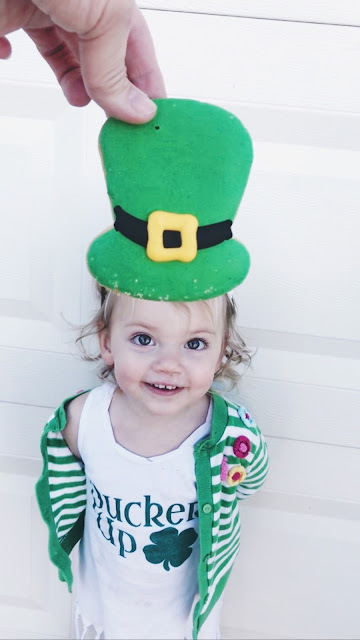 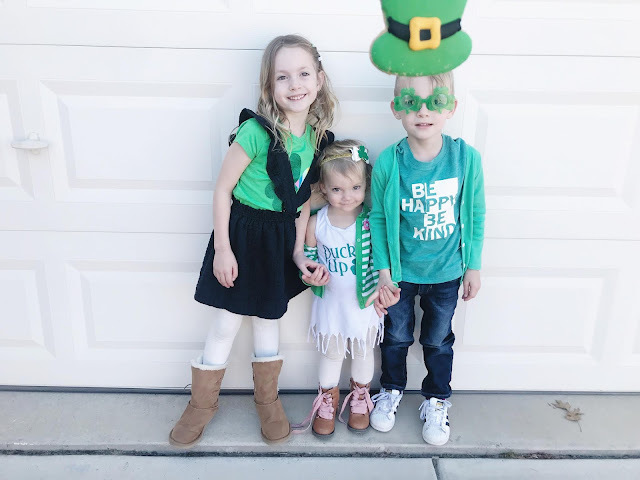 Hope you caught a leprechaun and drank some green beer yesterday....we had so much fun with the kid's this year. 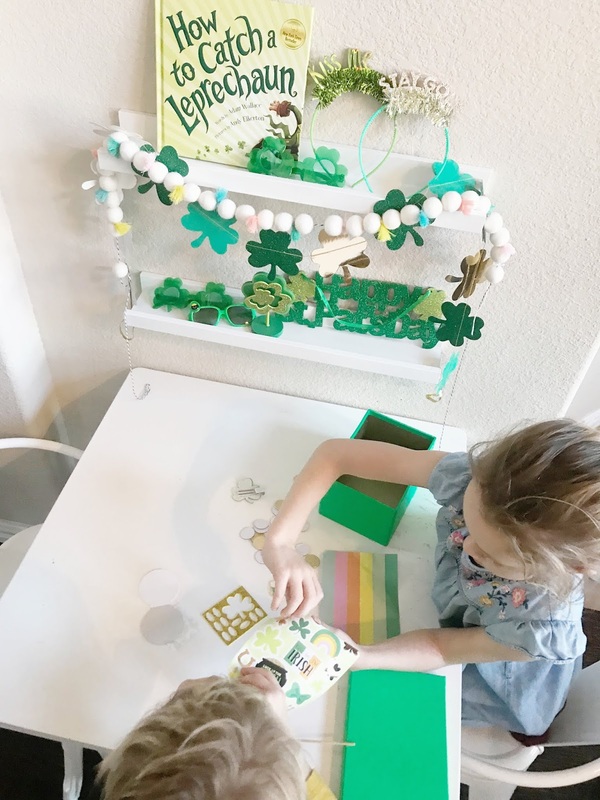 They loved setting out the Leprechaun trap that we bought at Target and decorated. 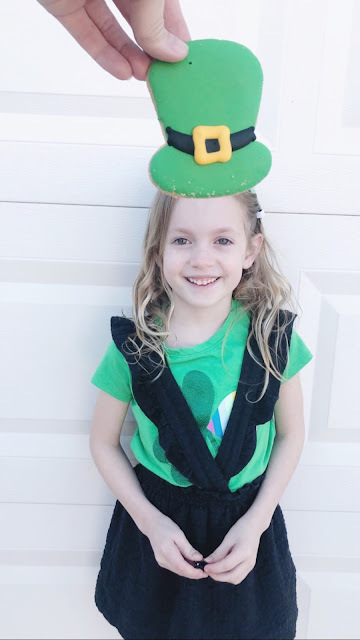 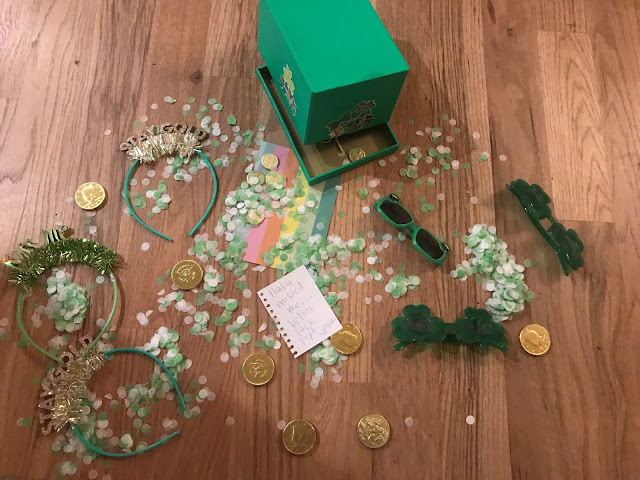 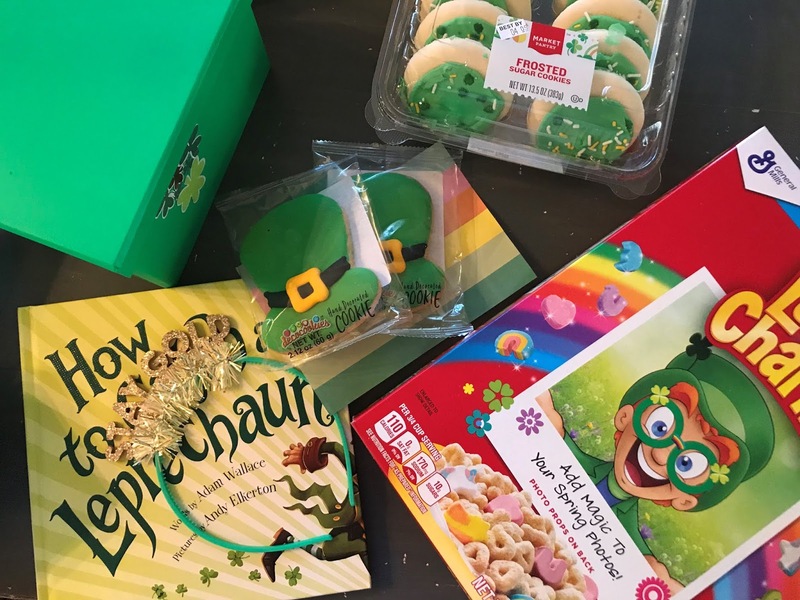 LOVED getting to eat gold coins and Lucky charms and I've decided I love everyone in green:) We were on vacation and took all the festive things with us! 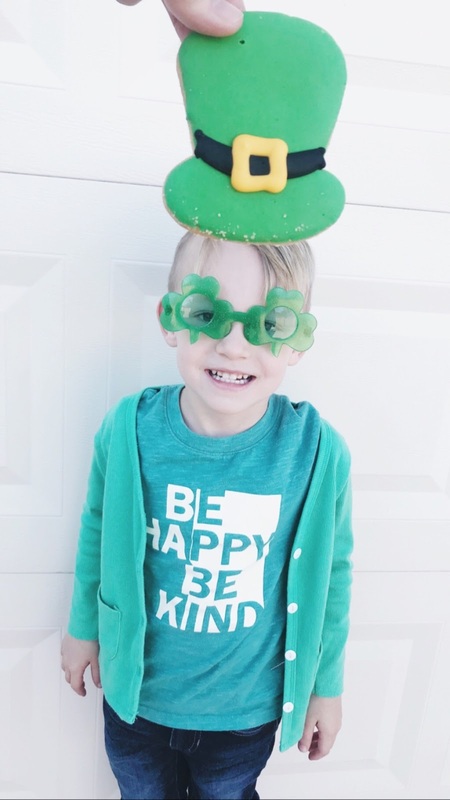 Dennis got pinched first thing in the morning and we had a blast. Decorating their trap to take with us! Pretty obsessed with all the rainbow and green things...fun how different our St. Patrick days look but I wouldn't change it for the world! 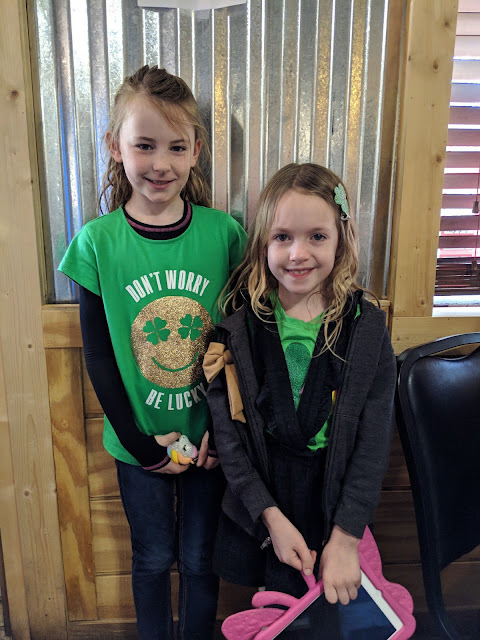 These sweet friends at lunch before heading home! 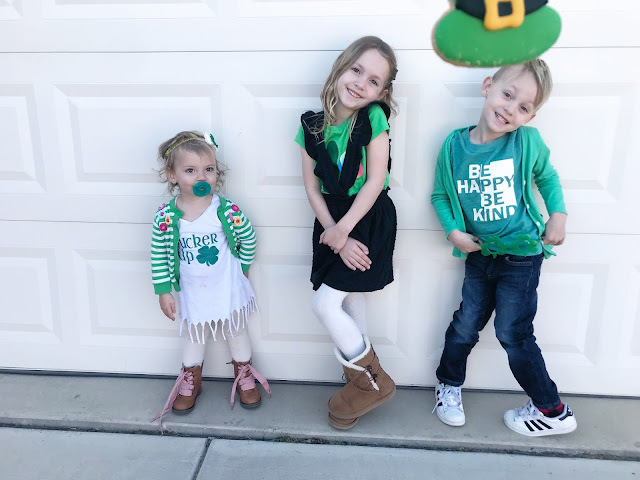 Trying to get a pic with these three cracks me up!! Can't wait to share all our Spring break pictures!